When it comes to comfort food, sandwiches remain the GOAT. They’re typically quick and simple to prepare and it doesn’t hurt that they’ve consistently evolved over the years, which brings us to Bon Appétit‘s video of kids sampling 100 years of American sandwiches. Thanks to this adorable clip, we are now ferociously craving a panini (ugh, the mind can be so weak). 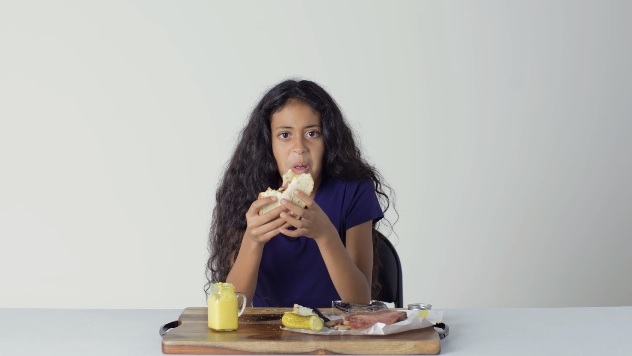 But the good thing is that we’re decidedly more informed on the history of sandwiches and thoroughly entertained by these kids’ honest reactions to participating in what sounds like the best taste test ever. OK, maybe not ever, but these sandwiches do look pretty darn tasty. Other than a participant who dissed the pastrami and rye sandwich so hard (seriously, she spit it out in a paper towel), the experiment seemed to go really well. On that note, duty calls! In other words, we’re off to find that panini.